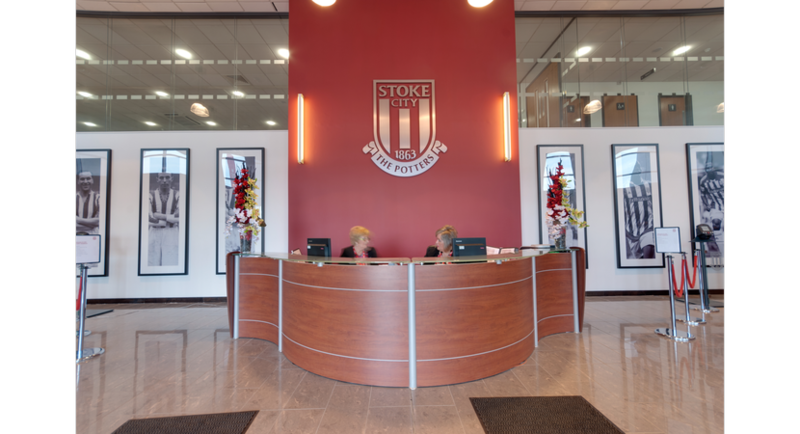 Stoke City Football club are offering the perfect location and venue for all your conference needs, with commanding panoramic views over North Staffordshire and geographically convenient in the city and just off the M6. Executive catering available for over 1,000 people in total, a variety of suites to choose from and a car park that can hold a marquee the size of 800 square meters. 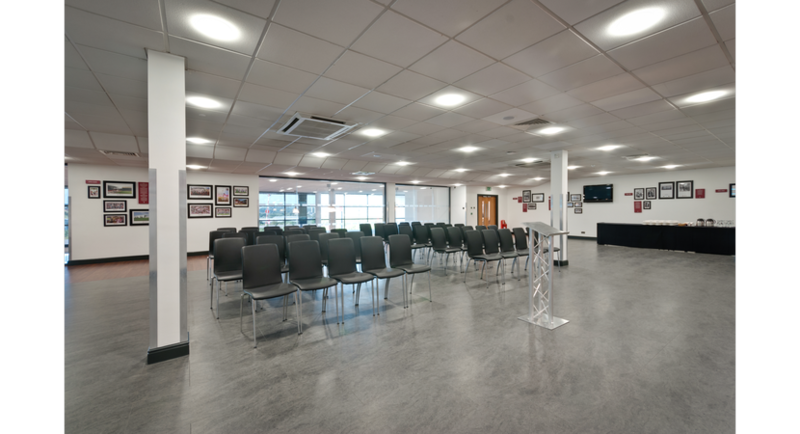 The bet365 Stadium is an ideal location for all types of business functions special events, and conferences. Executive and sky boxes with stadium views and self-contained facilities are also available to hire for business meetings or as break out rooms for larger events, there is a multitude of facilities and possibility’s for you to choose from with 6 conference suites in all. We have expert event planners who can realise your vision for any type of event. They are on hand to assist you right from initial enquiry through to the day. They pride themselves on having the attention to detail that is needed to deliver a seamless event every time. There are a choice of suites offering flexible and modern areas for all party sizes. Inside the stadium we have three suites, the Tony Waddington Suite, Stanley Matthews Lounge and 1863 Lounge which are fully licensed for weddings, one of which overlooks the hallowed turf. 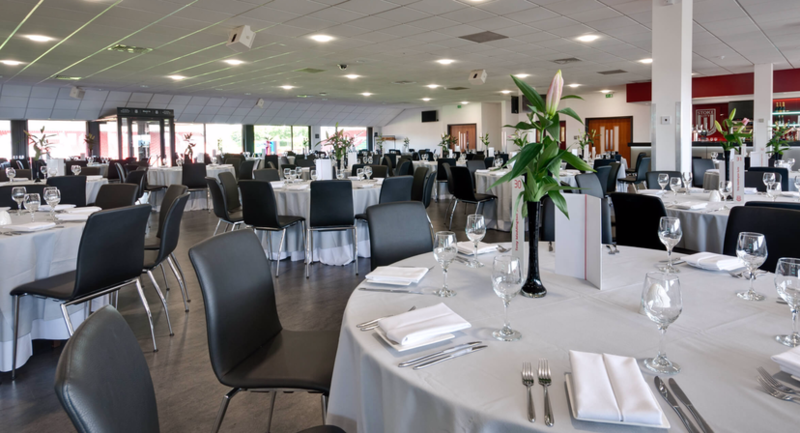 Additionally we have a wide range of banqueting suites located throughout the bet365 Stadium. Perfect if numbers are small and you want to keep things informal. With natural sunlight flooding through its panoramic windows, this bright and intimate suite is ideal for smaller, relaxed meetings. Our largest pitch-facing suite is perfect for large conferences and dining. Named after our legendary manager, our largest and most well-known suite is a favourite for dining and larger events. Ideal suite for meetings and dinners for up to 170 guests. Named in honour of one of the Club and Countries greatest players, this lounge has a calm and relaxed ambience and is perfect for small and medium-sized events. Holding an exhibition? This room is perfectly located for your visitors. Celebrating the year the club was founded, this suite overlooks the main reception and is an excellent exhibition venue. If you’re looking for a room with a view, then this ticks the boxes. Our 44 ‘8 seater’ and 2 ‘12 seater’ Executive Suites have magnificent views over the bet365 Stadium pitch. They’re ideal for small meetings holding up to 12 people. Alternatively, our 2 TV Studios accommodate up to 20 people, making them perfect as breakout suites.